Biography of a Grizzly@454 Rs [Mrp:-454] - Onlinedeals.discount - A leading product discovery website. Find the true prices of products, read reviews and buy top brand products at reasonable prices. 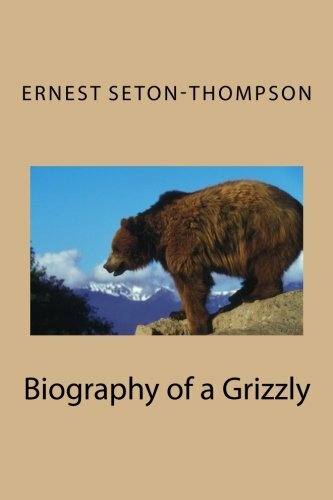 This classic book by the esteemed nature writer, Ernest Seton-Thompson, provides an in-depth study of the life of one of the most misunderstood and feared animals on the planet-the grizzly bear. Seton-Thompson’s portrait of the life of one individual bear will no no doubt provide those who fear this majestic animal with a whole new understanding of the species.